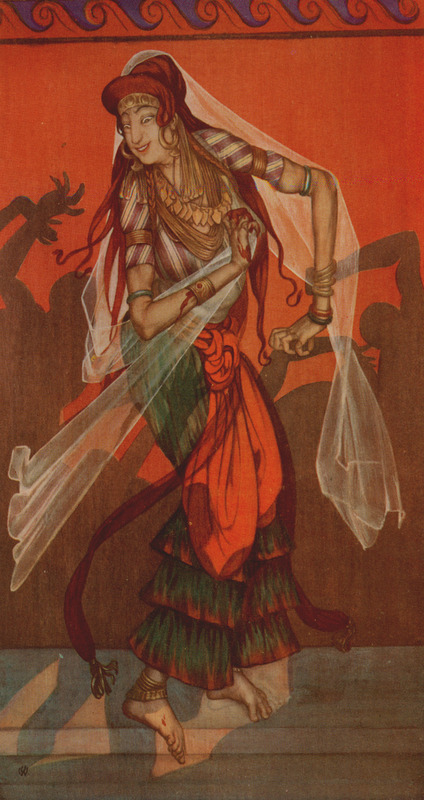 Scarabean Gem, in the Author's Possession. 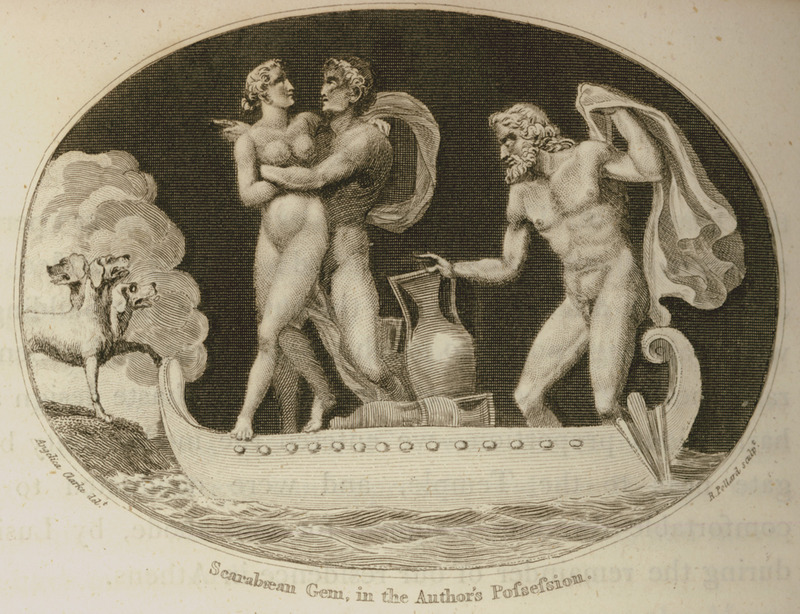 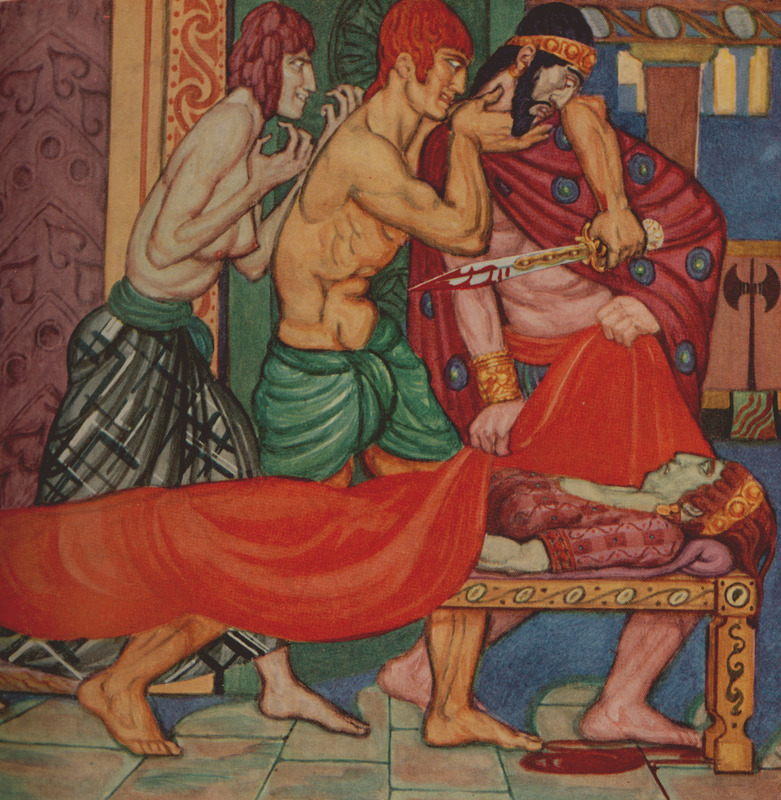 Hermes and Charon leading a woman to Hades. 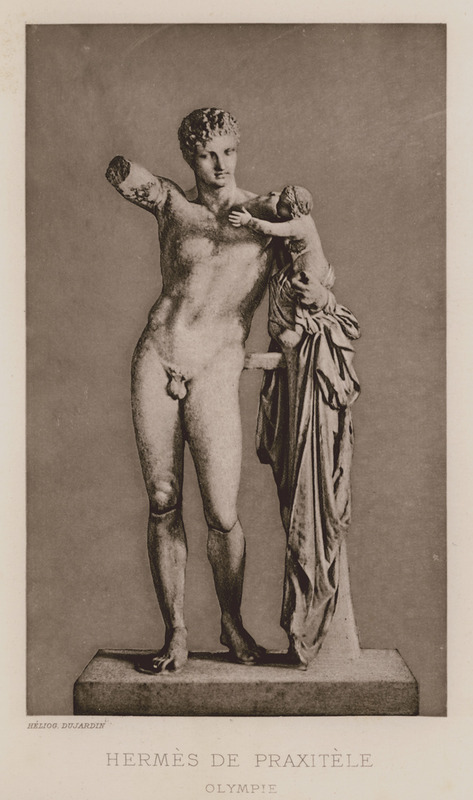 Portraits of Greek and Roman mythological heroes, based on Roman statues and busts. 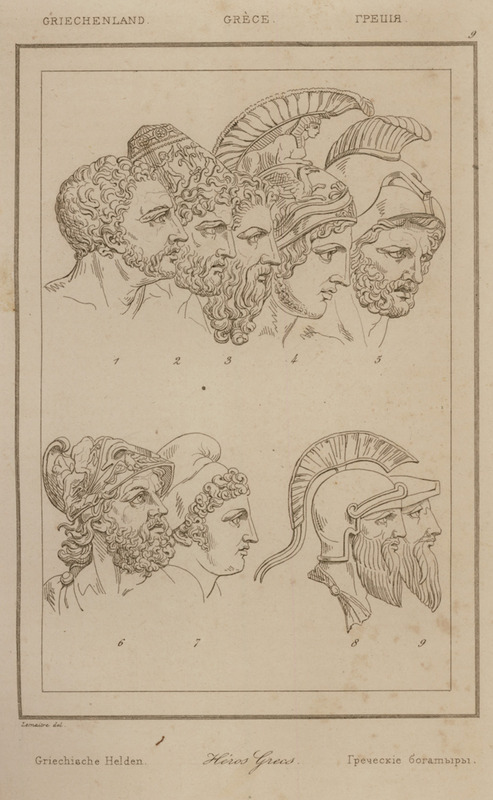 Upper row: Diomedes, Odysseus, Nestor, Achilles and Agamemnon. 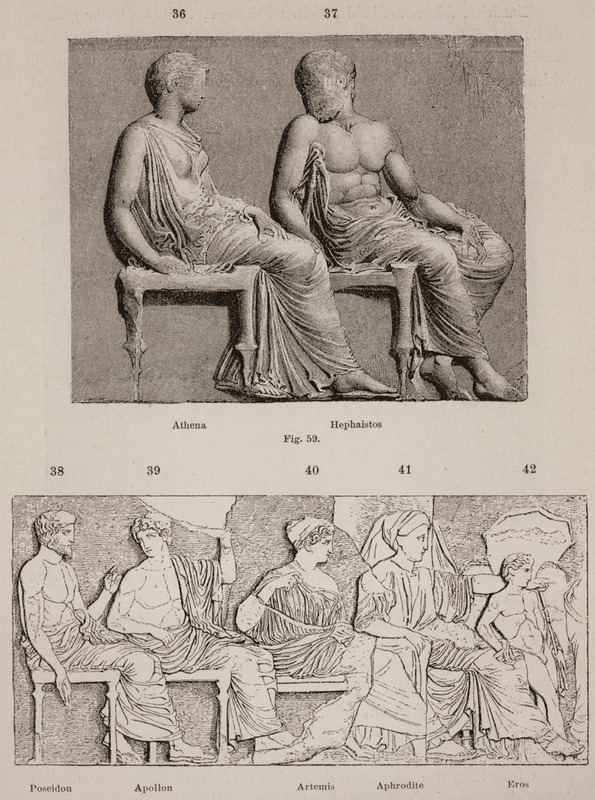 Lower row: Menelaus, Paris, Machaon and Podaleirius. 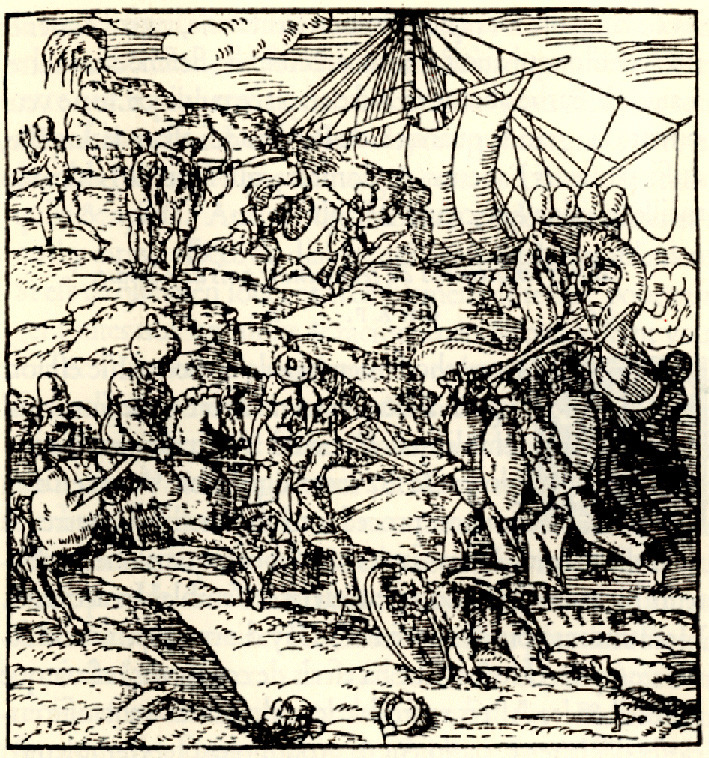 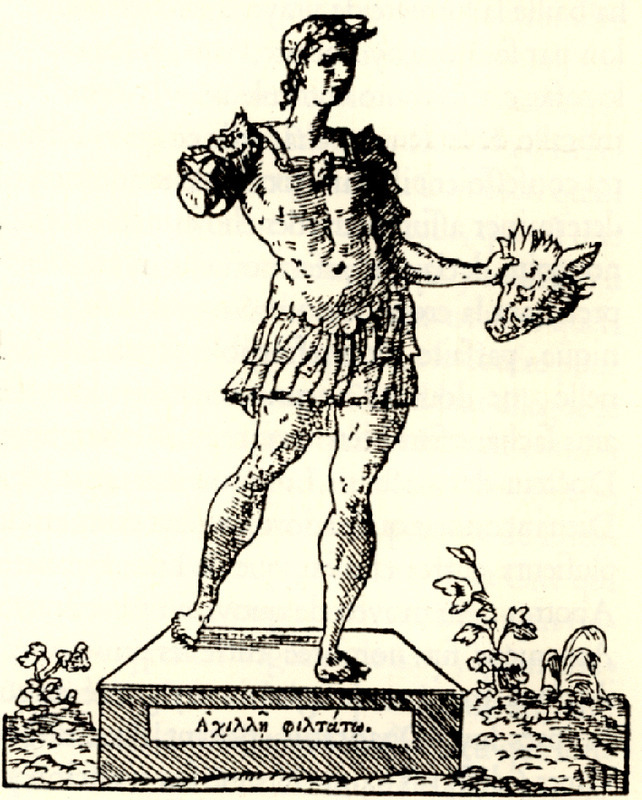 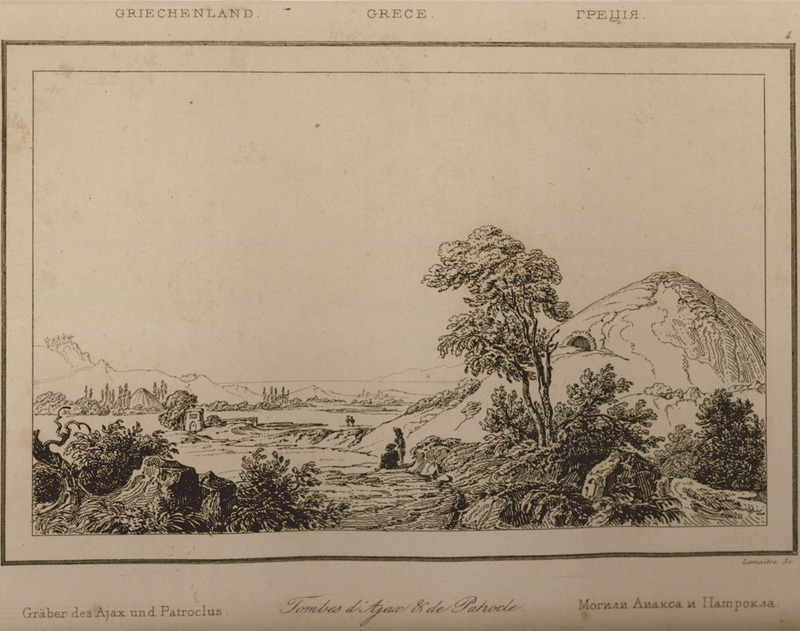 Telchines (original from Crete and later inhabitants of the island of Rhodes according to Greek mythology). 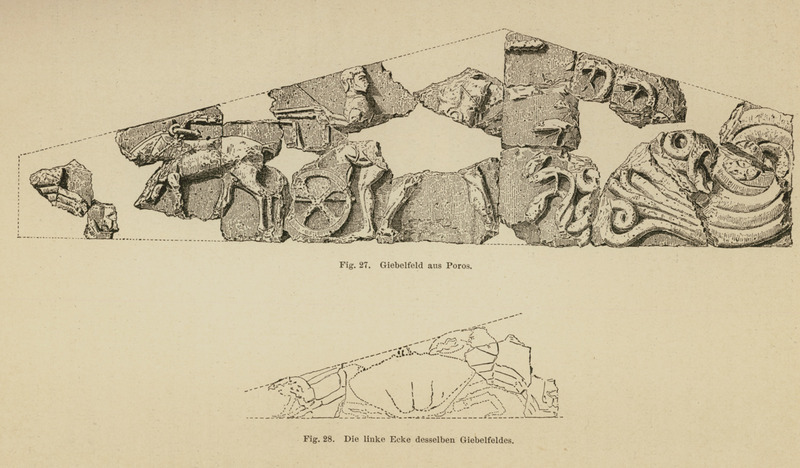 The pediment of the archaic temple. 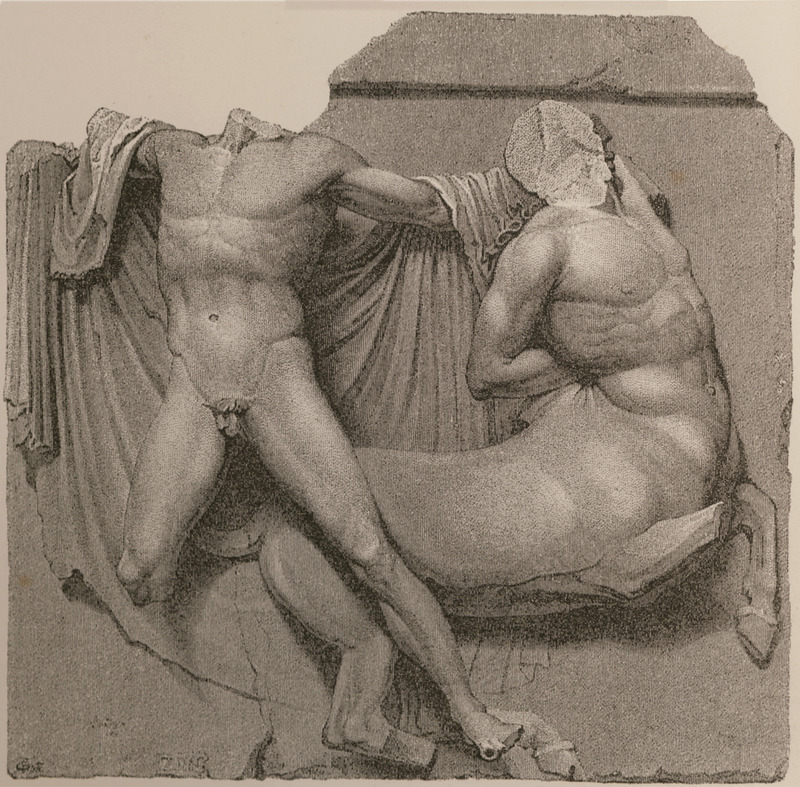 Heracles killing the Lernaean Hydra. 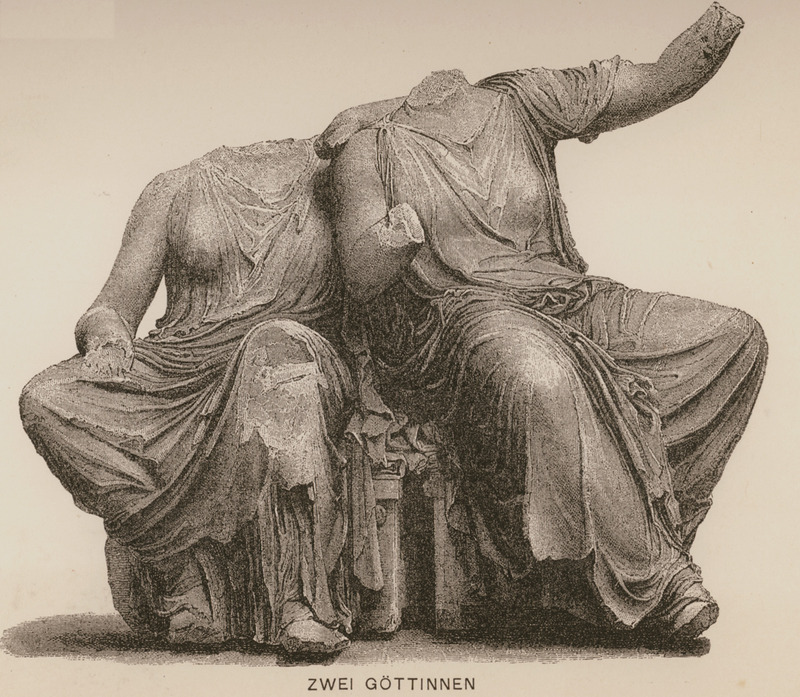 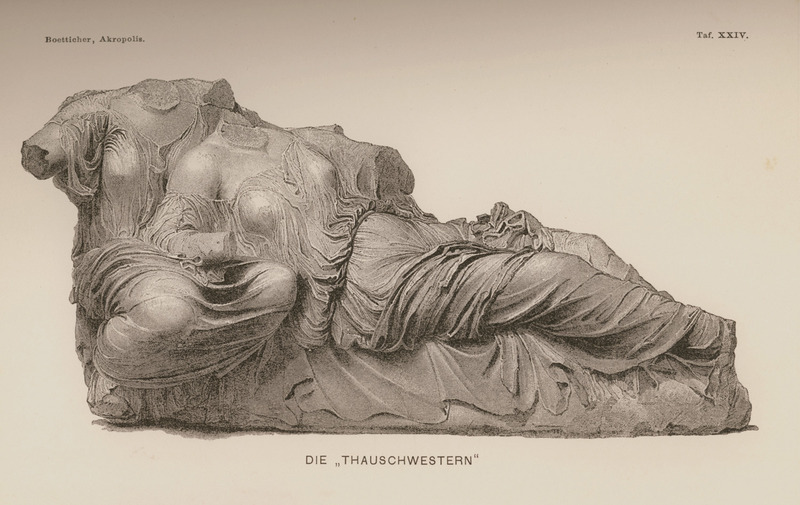 Demetra and Kore (Persephone) from the eastern pediment of the Parthenon. 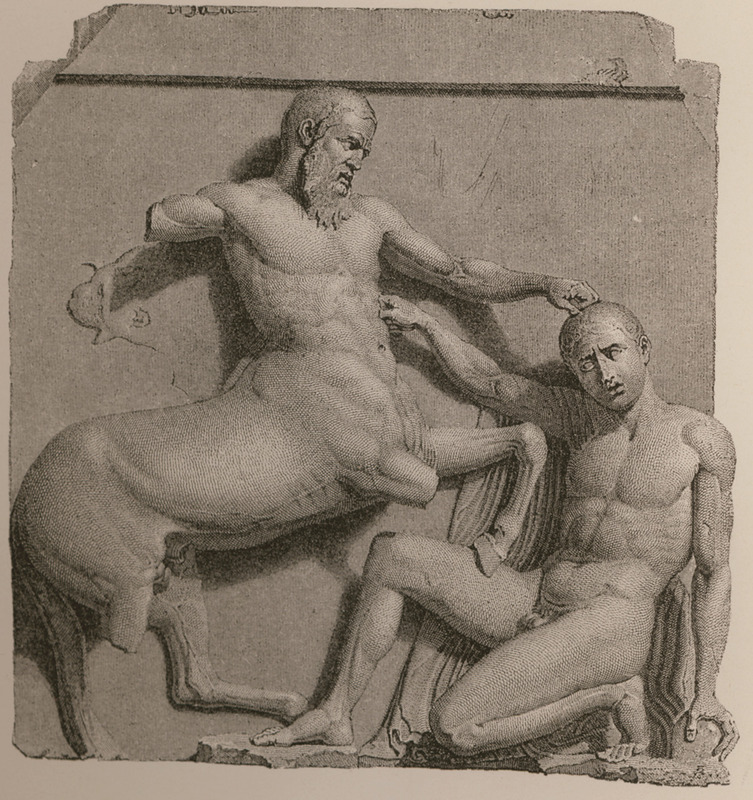 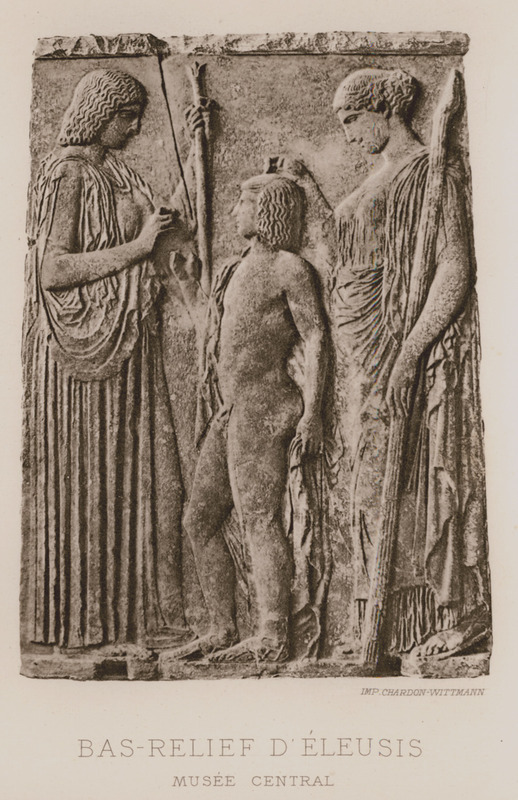 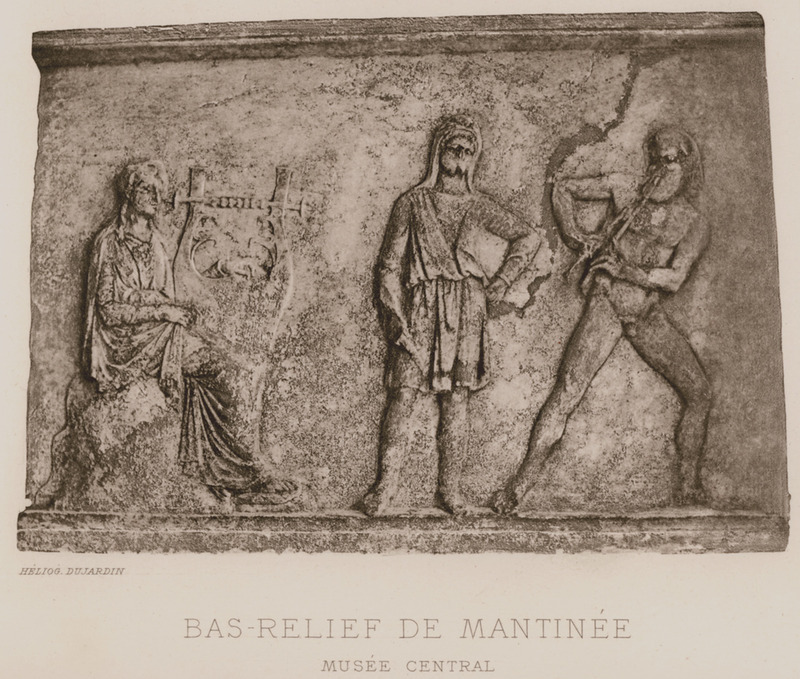 Slab from the eastern frieze of the Parthenon. 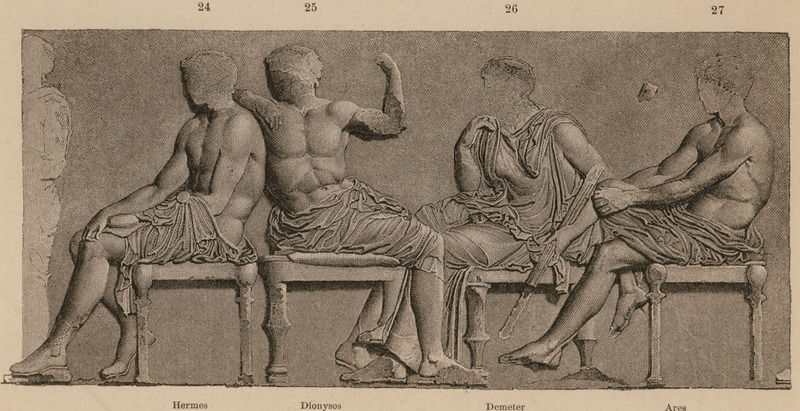 The “agora of the Gods”: Hermes, Dionysus, Demeter and Ares. 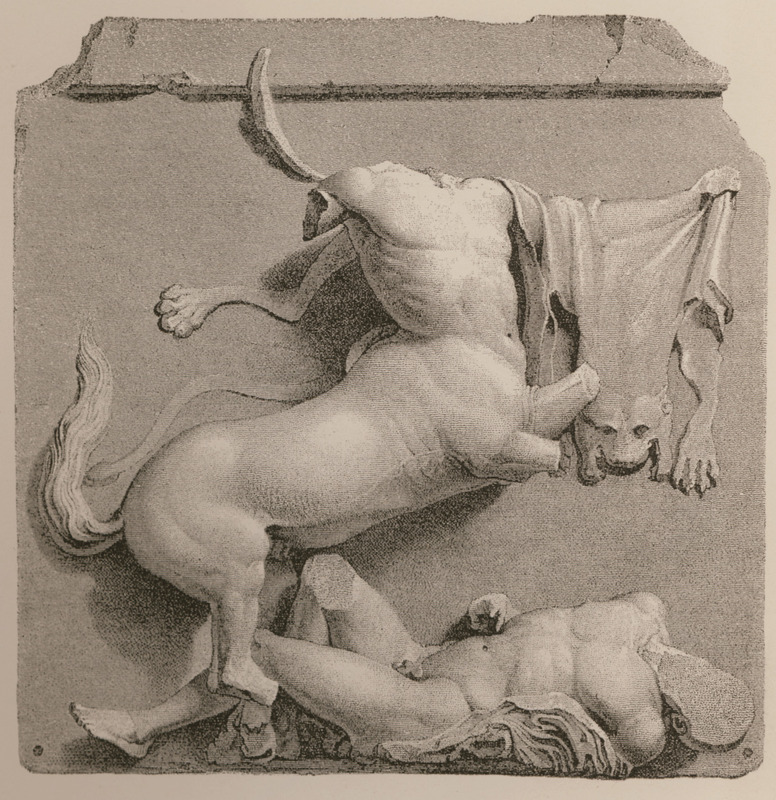 Block from the Parthenon frieze. 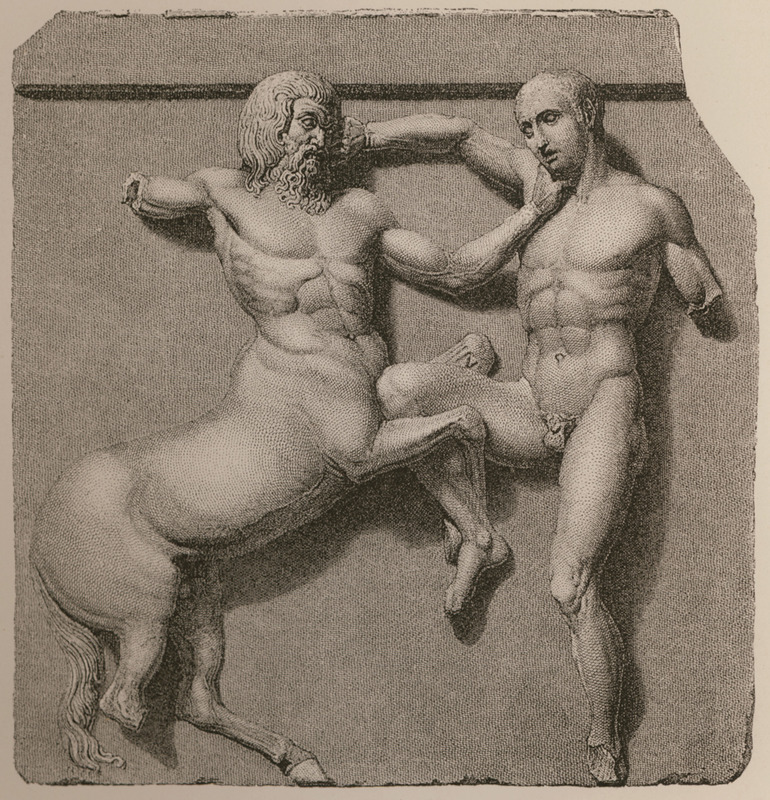 Block from the eastern Parthenon frieze. 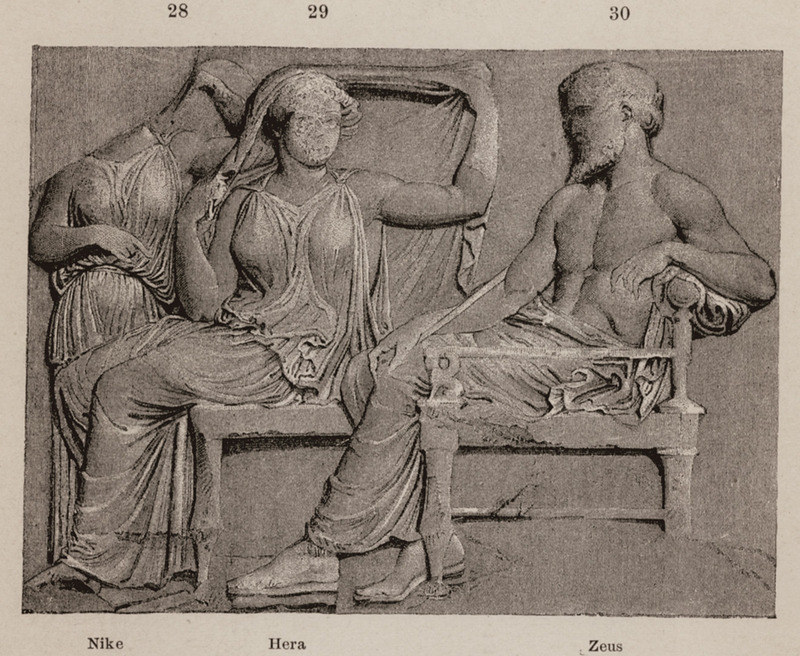 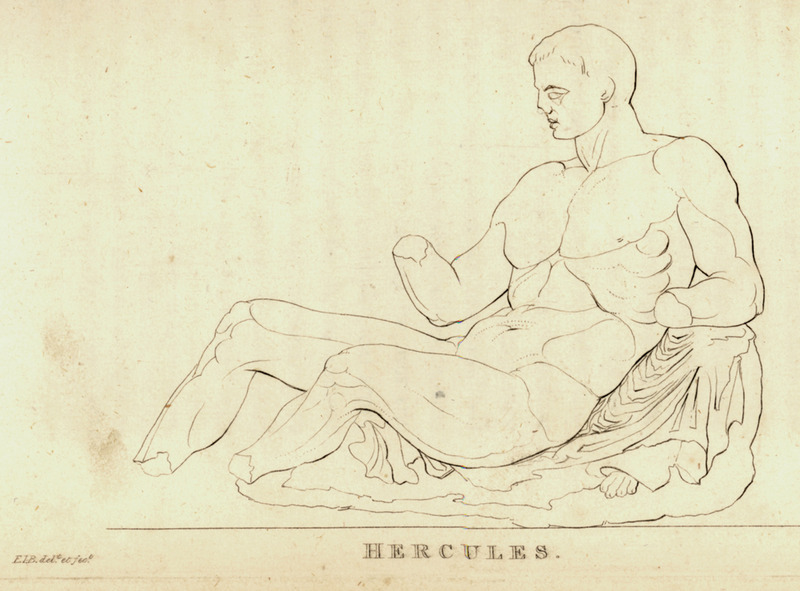 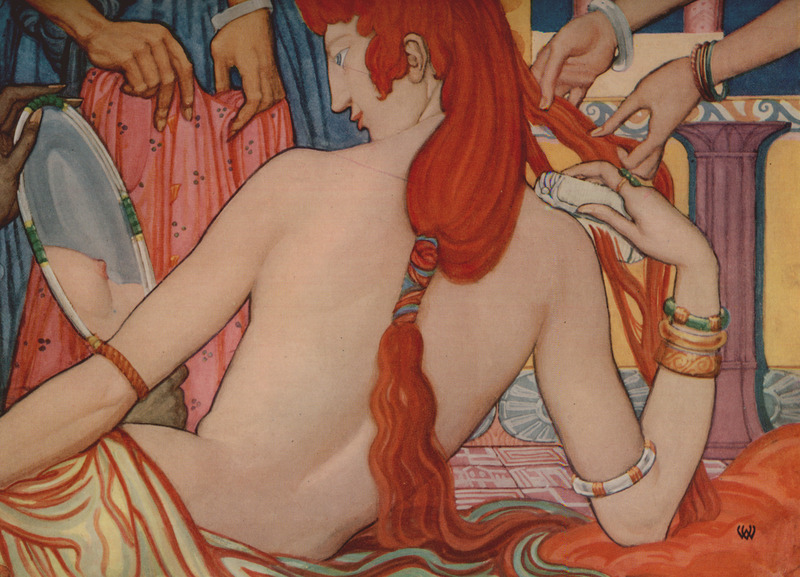 Hephaestus and Athena. 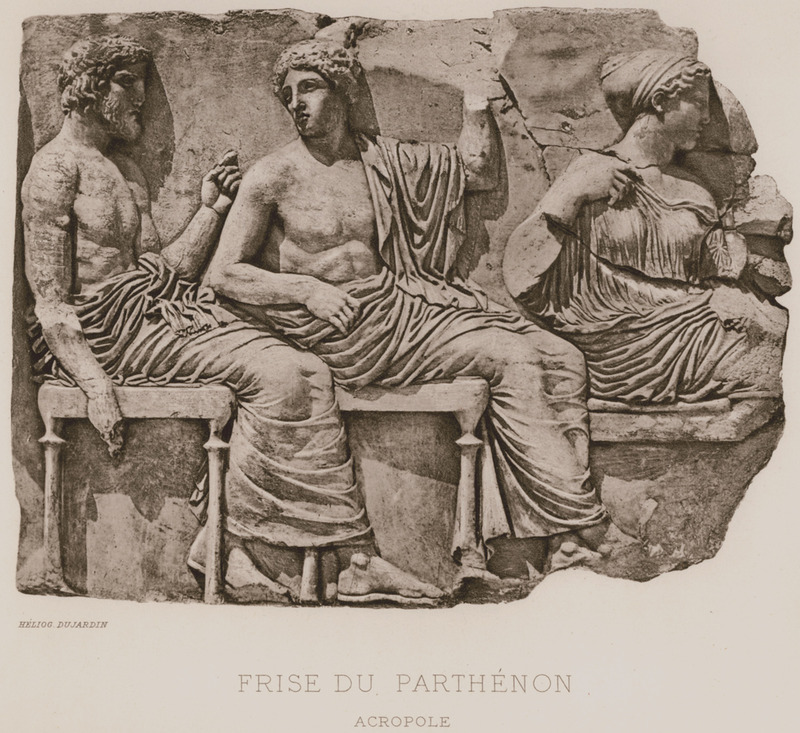 The east pediment of the Parthenon. 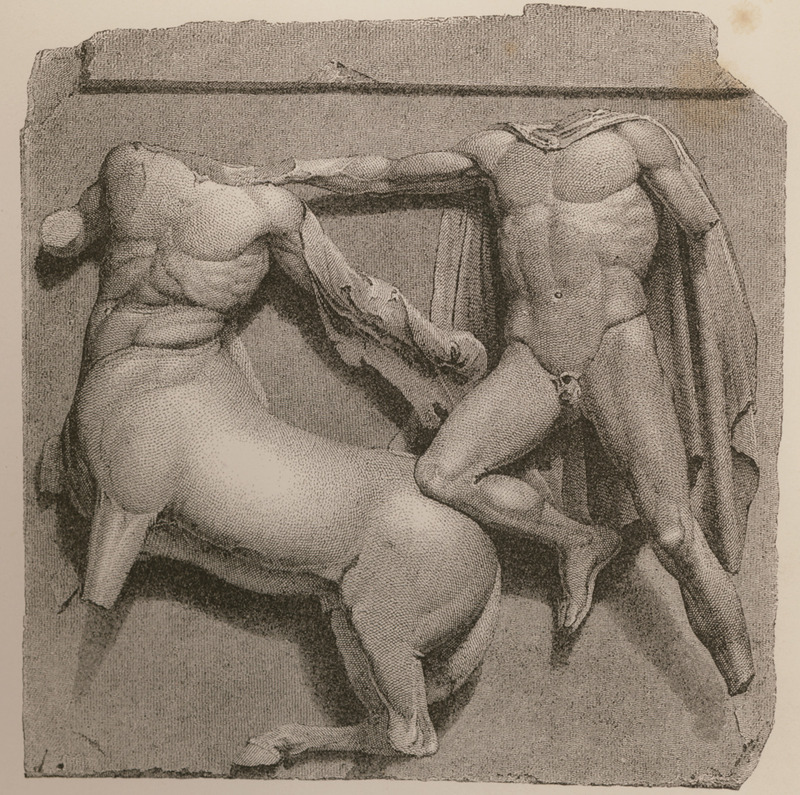 East pediment of the Parthenon; Fragments of the complex of god Helios rising from the ocean in his chariot (heds of horses, arms). 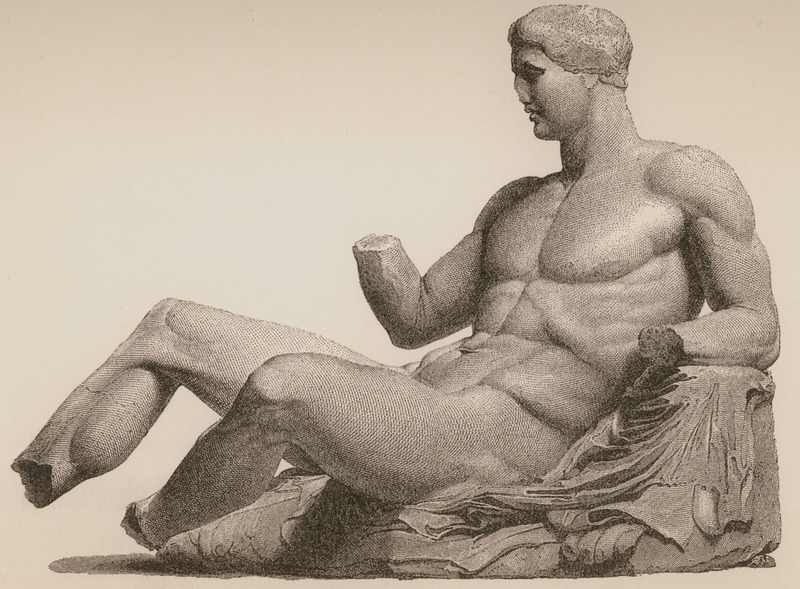 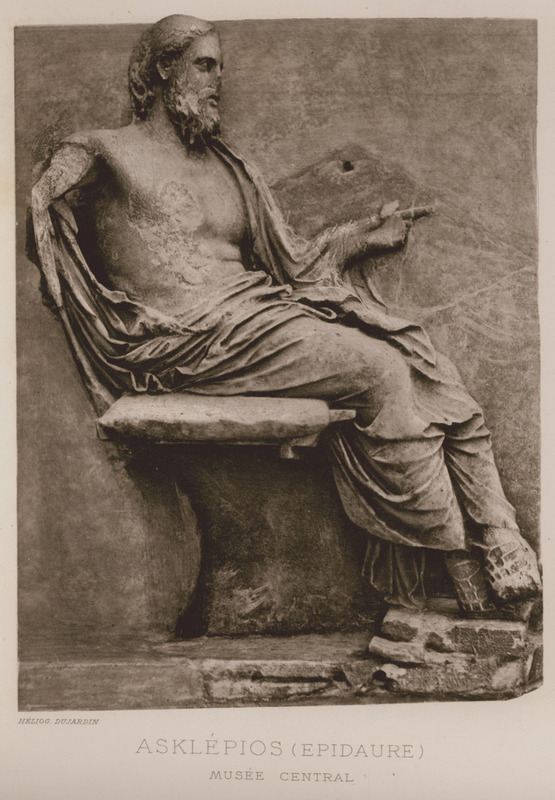 Statue of Dionysos (east pediment of the Parthenon).